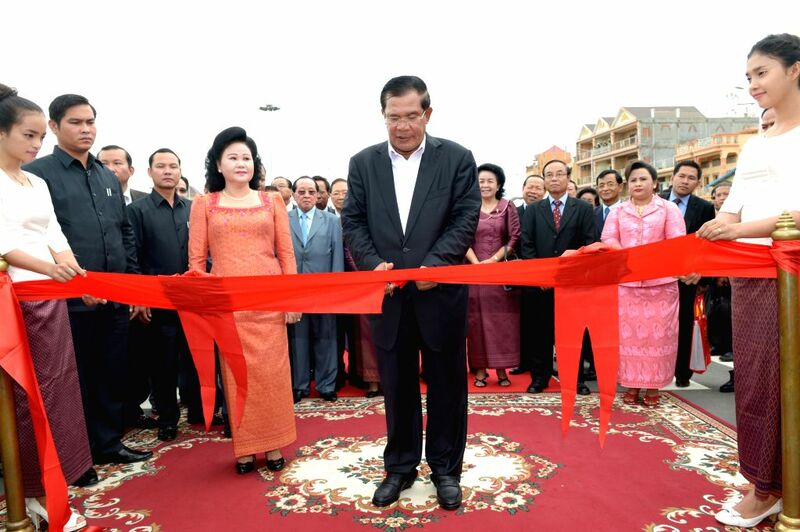 PHNOM PENH, July 31, 2014 - Cambodian Prime Minister Hun Sen (C) cuts the ribbon to inaugurate an overpass in Phnom Penh, Cambodia, July 31, 2014. Cambodian Prime Minister Hun Sen opened the third overpass for traffic on Thursday to meet growing number of vehicles and to ease traffic congestion. 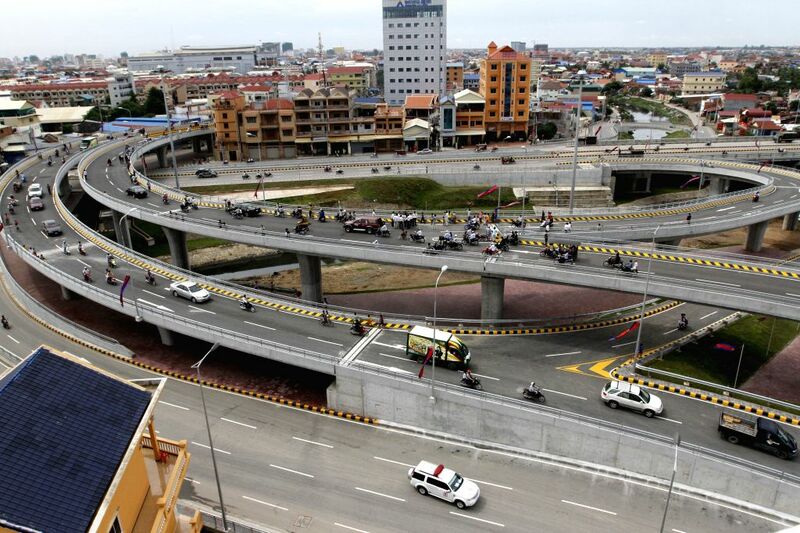 Picture taken on July 31, 2014 shows Stung Meanchey overpass in Phnom Penh, Cambodia.